55 Interchange Way has a Walk Score of 35 out of 100. This location is a Car-Dependent neighborhood so most errands require a car. 55 Interchange Way is a 11 minute walk from the 1 LINE 1 (YONGE-UNIVERSITY) at the VAUGHAN METROPOLITAN CENTRE STATION - NORTHBOUND PLATFORM stop. This location is in Vaughan. Explore how far you can travel by car, bus, bike and foot from 55 Interchange Way. 55 Interchange Way has excellent transit which means transit is convenient for most trips. This location is in the city of Vaughan, ON. 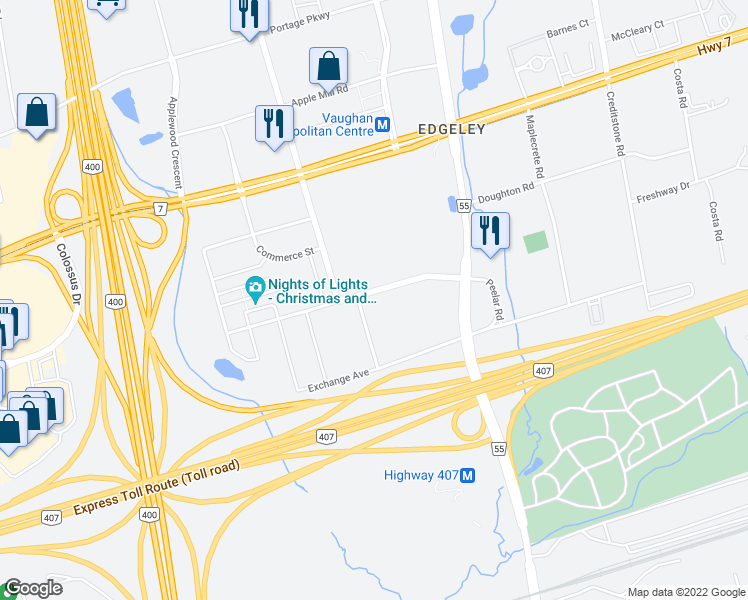 Vaughan has an average Walk Score of 49 and has 288,301 residents. Yonge St. @ Sheppard Ave.